Enjoy a journey back to the late 50's and early 60's in our themed coffee bar. 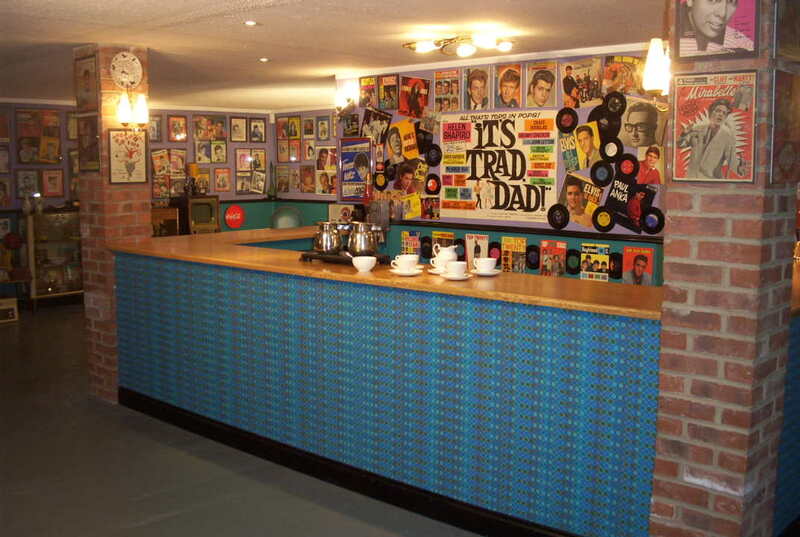 Here, you will find the walls lined with original memorabilia - photos, magazine covers, records and sheet music of the top rock 'n roll stars and pop singers of the period... and a few 'one hit wonders' too!! We have a section for the U.S. greats and a display to jog your memory of the top groups of the early 60's. Many of the items have been autographed by the stars. Original furniture, radiograms, radios, lighting and a jukebox completes the step back in time.